This is a shout out at my Friend Andrew Higginbotham. 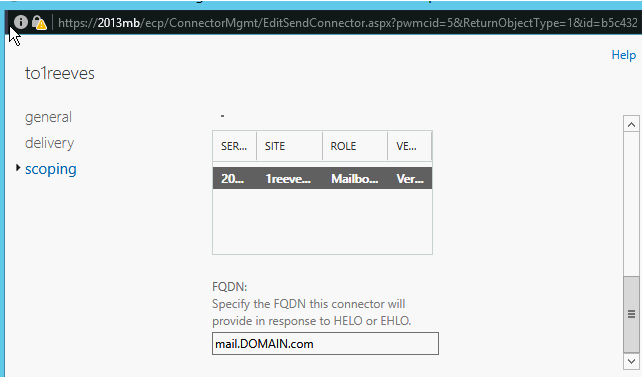 This man is a multi-MVP and MCM in Exchange Server. He penned an article about Jet Stress, Which is very useful. The issue is Page Fault Stalls/sec and the subject is SSD Solid State Drives. I admit to not spending my time in Jet stress, as I don’t work on design elements as much as I do Skype. Andrew has come to my rescue on a few Design issues and Jet Stress on more than one occasion. This quick reference in my Blog is to support Andrews Blog and Recommend you read everything he writes. He is truly one of the best Exchange Persons around the US neighborhood. Andrew thanks for your time on this case. I hate not being the expert but I am proud to work on a team with such strengths. I am just glad to be part of a team of individuals whose strengths compliment each other. Before I jump right in this evening, let me share the exciting picture of Saturday night Live Season 42, episode 2. This is a lovely commentary on the second presidential Debate. I recommend catching Saturday night live season 42. the Debates are hilarious! It’s a nice change because you just have to take one test a year to be able to keep your certification. Microsoft uses an elective system, so Productivity, for example could be Skype, Exchange or SharePoint. In addition, the advanced topics are also on the same certification, but you don’t have to take the advanced certification until the following year, and you still have the MCSE. So this is a tradeoff. You get the certification up front, but you will ultimately want to complete all the exams, over time. The old way, you had to scram to get all the exams done, and then you had a long period of no growth perhaps, followed by another scramble period. I think the new method matches reality. And on that note, Having taken the 2016 Server Exam Beta (70-743) for Infrastructure upgrade; the new testing methodology has finally moved to the future. No more questions with the same boring beginning. The questions are straight forward. By the end of the exam, you are telling yourself, you deserve to fail if you don’t know the information. I was very satisfied with the new test format. So in closing, we have a new Certification format, and new Test format coming our way. The resources I have used and recommended are Born to Learn and Microsoft virtual Academy. These are both much better then the past, and the material is generally helpful. Good luck and happy Certifying!!! I found a great new tool from Digicert. I had to share it with everyone. Now days you cant have .local on your public certificate. This can create certificate pop ups. Digicert, always a proactive company, has come up with a tool, to remedy this problem. They make changes to your Web services, to change the names to .com, eliminating the problems with Exchange. 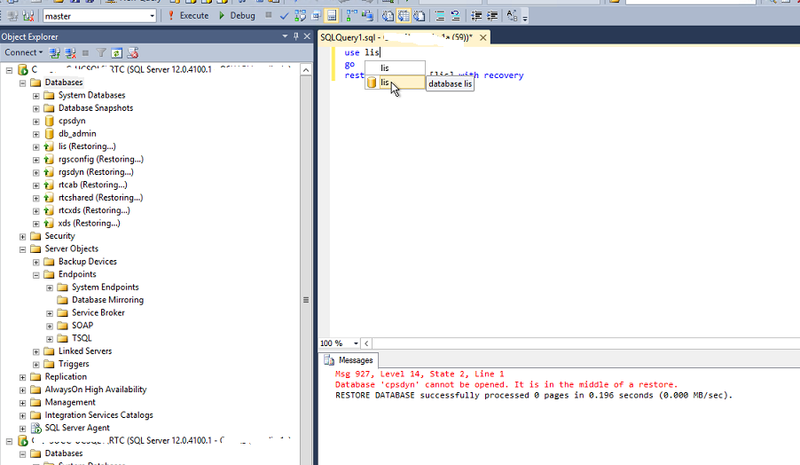 This also generates a roll back script, to get you back to the default settings, if there are any problems. I don’t see the down side to this approach! Thanks Digicert, for putting the work in, so we all benefit. They also have a part 1 article on replacing your internal certificates, but part 2 is an awsome edition to the tool box, for Exchange people. Hello All. I had a case that I have solved several times, but I forgot this particular morning, what I did to fix it. This is when I generally make a Blog. So the scenario is when you run the Topology Builder and complete a Mirror. However, at the end of the Mirror Creation, you get an error in the topology builder. This error may take many forms. 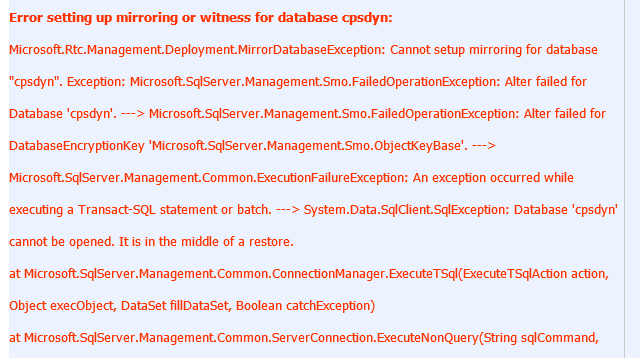 The error boils down to: Database cannot be opened. It is in the middle of a restore. If the mirror has not replicated, then your in another boat. However, In my case, The Mirror Databases seem to have restored completely. 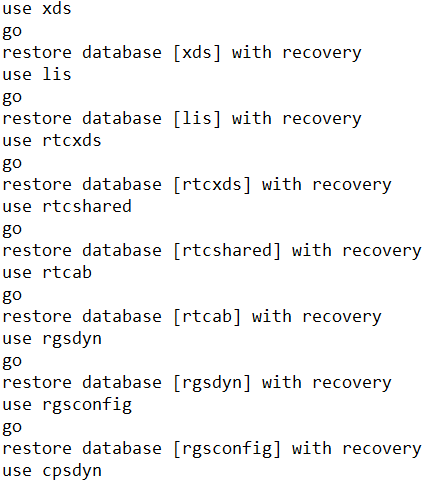 I am not saying this will work for everyone, but if your issue is the SQL script got stuck, you may be able to just terminate the restore script, and re-publish your topology. If this works, great. If not, at least you had something to try. Otherwise, this restore state never stops. It just sits in this state, and the mirror never finishes. See the above results over trying to publish this mirror over and over and over. Hopefully this small step is all you need to fix your issue. This is an indication you need to check into your Permissions to SQL or the Service account permissions to both Computer accounts. What brought my attention to this subject was an memo from a coworker. It was just a run of the mill comment, and it really was the implied meaning I took away from it. I got the impression, that some of my friends were thinking that the BOTS were going to be available to them in SKYPE for Business (SFB). Comments are generally warm, with the reception of SFB, but one persons BOT comment was left un-answered, presumably because most SFB people are not privy to any information about these BOTS. I will tell you, I didn’t reply. But my instincts wanted to tell them BOTS are not part of SFB. Honestly, I didn’t know for sure. Really, I don’t know what a Bot is! So, if not for posterity, let it be my own curiosity which let me to find out; What are we missing in SFBLAND, that is so exciting in the rest of the industry? As is turns out, I think we should be paying attention. Its not going to be long, before we are up to our necks in BOT support! Below I really lay out a case for the inclusion of BOTS in SFB, but I would reach out to my colleagues to ask them, is there any reason why SFB is left out at this phase? Is there a big awesome change coming? Is there a secret project a foot? Is it Top Secret? No I am not a conspiracy theorist, so let me just leave that where it lay! For the Skype for Business Users, if you had been ignoring BOT notifications in your email, let me catch you up! so much of this is going to be directly relevant to SFB at some point! “BOTS” are Artificial Intelligence In Microsoft’s usage. Microsoft recently released a BOT framework, for Developers and programmers. This Framework, includes a BOT connector service, with a goal of enabling communication with Disparate platforms such as LinkedIn,Facebook,Skype,Slack,stack and more. You get it? Wand Labs Seems to have something to do with Bots. This company should be working with SFB for some Long term guidance, I would think. Why Else is SFB is not yet involved with BOTSVILLE? Cortana is supposed to be a BOT. SFB is coming out for the mac! SKYPE is too, With Group Chat! The above may not seem related, but I think it is! See the Skype Release is for Android, IOS and windows platforms. No one seems to be left out. To underscore the point I made about group chat, that is what enabled the First Bot to work, and it works on SKYPE and it works with the MAC! I would encourage you to read the papers I am placing into the links. I had to go through a lot of articles to get this trend about BOTS. It does look like a rather huge thing, looking into the future. I encourage you to tell me your thoughts on how this may play out. Skype Bots, a way to bring expertise, products, services and entertainment into daily messaging on Skype, are now available in preview on two additional platforms: Mac and on the Web. There is currently no story yet for Skype for Business. With the Microsoft Bot Framework you can build a bot that “channels” through multiple chat application like Skype, FB Messenger, KiK, Slack, Telegram etc. 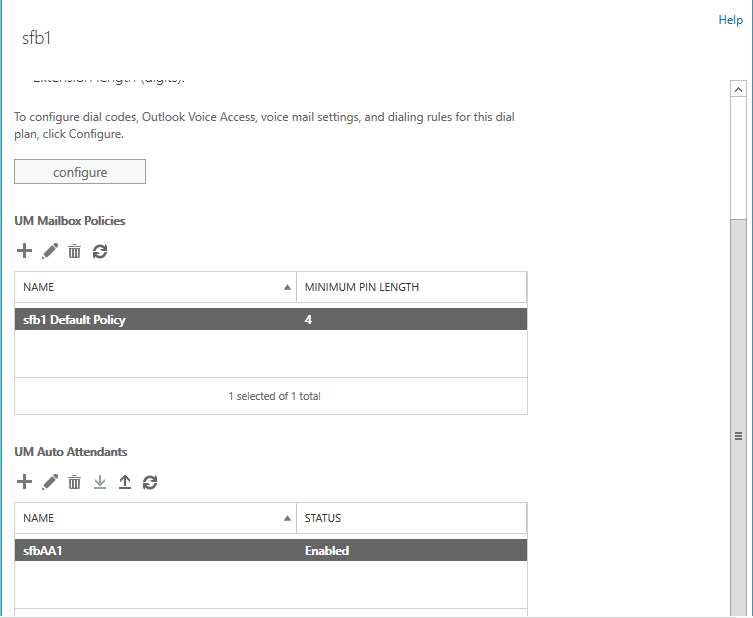 Skype for Business is not yet part of the available channels and no information is available when that will be available. “Skype bots can introduce both audio and video experiences, the company (Microsoft) said. Any plans for Skype for Business? Bots offer a great opportunity to the enterprise users. I would be interested in private internal bots with Skype for Business available as a conversation channel. So at this point, the only thing I have proved, in this article, is that SFB does not work with BOTS. When A customer calls to support, we can now tell them that Microsoft Skype for Business Does not have support for BOTS. Ill leave the conversation up to my readers. Do you think it will be long before SFB gets into the BOT world? The more important question is what is the hold up? Is there something else coming, that is a larger piece of the puzzle? I hope this has raised your awareness about the BOTS and let you know we are likely going to be hit with BOT questions, until SFB finally joins the FOLD. I do think that having SIRI on my Skype for Business Client is going to be just fine with me!! Flash: The Best way to Fix your Exchange 2013/2016 Unified Messaging, UM Dial Plan, is to redeploy it. It is not as hard as it sounds. Hello!! I’m Lester Tarkenson and welcome to another installment of Fun with Dialplans. today we will be discussing how the real professionals troubleshoot their Dialplans. You have to restart the UMSERVICE and the UMCALLROUTERSERVICE after making every change in UM. Trust me this will get you at some point. For these reasons and more, It is best to just build from the bottom up. It is very good advice, until you begin to try to take the UM apart. It fails all over the place, yet some commands do work. It quickly becomes a struggle to just get you back to were you were, with no harm done. Ok. I am deeply sorry for that. Try to recover. I know it will be hard. But, you will have a ton of time to make me a nice Haiku email, because rebuilding the Dial Plan will work instantly and you can move on with your life. so lets begin. Let me say, without any need to have to tell any of you: Make a copy of all your settings. use screen shot, back up, notepad, whatever it takes, but do something to make sure you have the settings to rebuild with! The first thing you do is use the GUI to get as much deleted as you can. Open up the Dial plan and start with the UM Maalox Policy and the Auto Attendant. Go in and delete and remove all that you can. Whatever is left, will be for us, in the Exchange Management Shell. You can work with Maalox or the Mailbox, it is your choice! So now this part may require some freestyle, so I am including all UM commands in the EMS for 2016. One small chart. I like it! See below. The goal is to get the UM objects un-nested. Then you can delete them with the Shell. Use your get commands, and then use your remove and delete commands, where appropriate. I am going off memory at this point, so I will be improving steps over time. using Figure 1 and 2, go in and manually remove everything. Now that you have the Dial Plan and gateway removed, you are Free to begin with a new Dial Plan. Make sure you follow a good document on setting the Dial Plan up. And this is the end. I realize the title is a lot to live up to. However, the process is not hard, it just doesn’t have a lot of documentation out there that talks about it. I hope you will be rebuilding your Dial Plans and gateways for fun and enjoyment. Don’t forget to run your .\ExchUcUtil.PS1 command when you are finished. 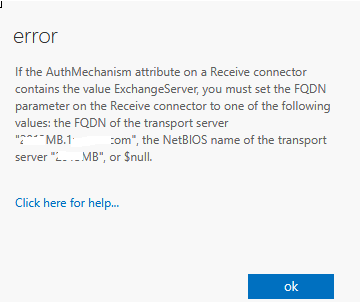 This will solidify your settings and you will be taking UM calls after you restart the UMCALLROUTER service and UM service on each Exchange Server 2013/2016.